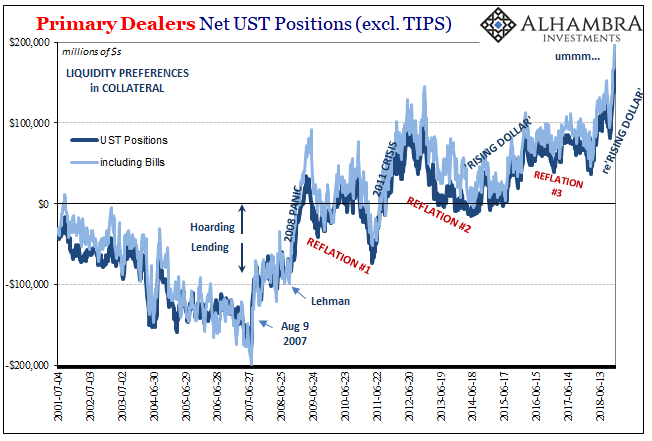 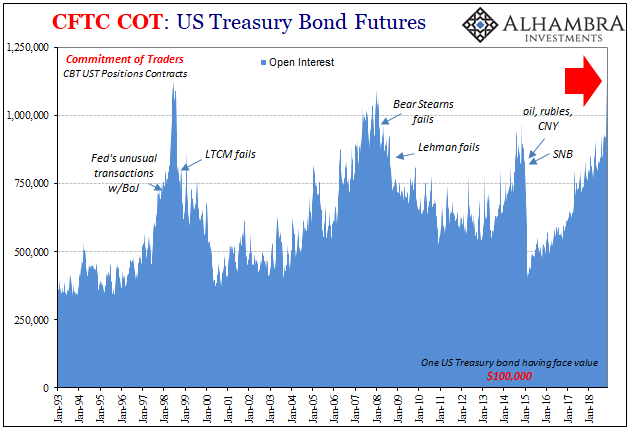 Dealers Are "Hoarding Collateral" At A Rate Not Seen "Since The Worst Days Of 2008"
This is also not unusual, in fact consistent with prior episodes of global monetary tightening (unrelated to the Federal Reserve). 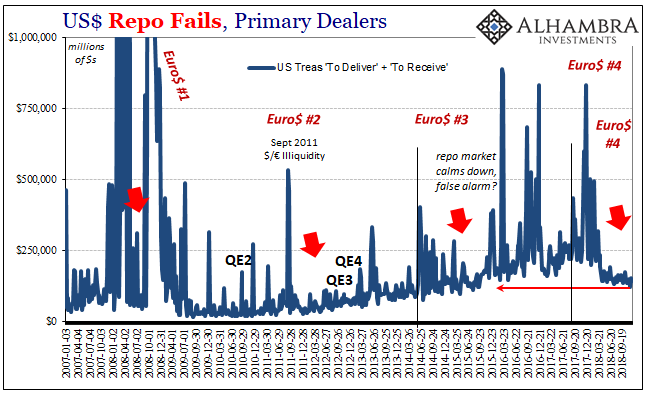 There has been a spike in fails which announces the beginning of the each one, and then it’s as if the domestic repo market goes quiet. 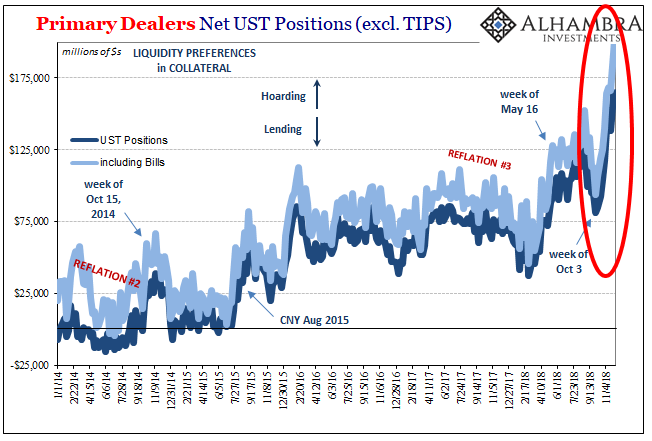 The ripples of monetary disturbance go out from there and disrupt other pieces of the system. 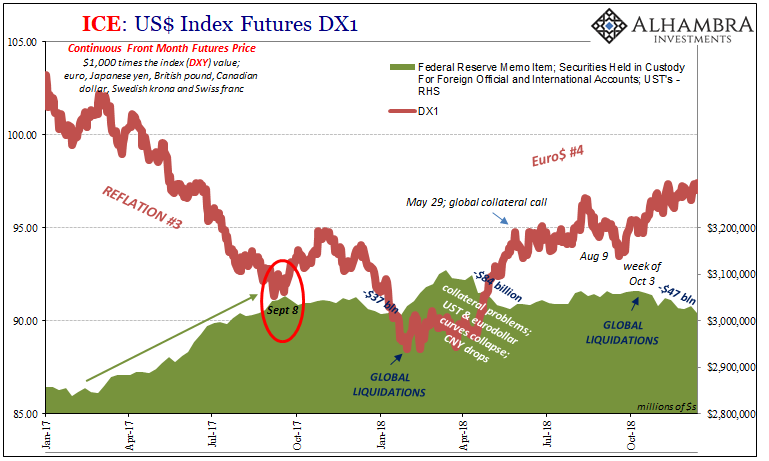 It has certainly been unusually calm in fails this year since March.